Discover how you can make the VAT payment process simple and stress-free. Follow these three steps to take the pain out of VAT payments and remove hassle. Accounting software isn’t just for accounts. 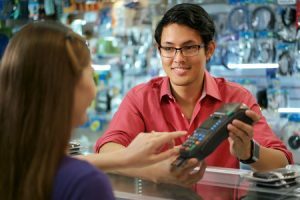 Today’s accounting software can be connected to lots of other apps which give you potentially hundreds of joined-up tools to help you manage your retail business. Discover the key points to consider when deciding which accounting software is right for you. 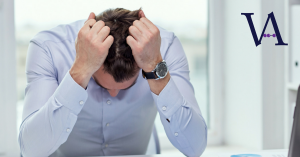 A Necessary Evil For All Business Owners? 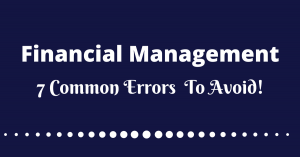 Whilst financial management is at the heart of a business’s success, many business owners make errors that can cost them significantly. To help prevent you from making the same mistake, this month I share 7 of the most common errors that you want to avoid. Read moreA Necessary Evil For All Business Owners? As a small business owner, plotting the way forward can often seem like a maze of numbers. The seemingly endless maths exercises needed to manage the financial side of things effectively can take time, but they are essential to long-term development. 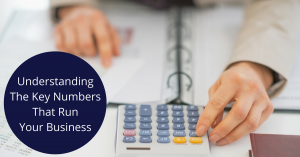 Discover and understand the numbers that run your business. 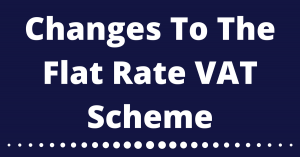 From 1st April 2017, the UK government has announced it will be removing the Flat Rate VAT Scheme (FRS) that was introduced in 2002 to simplify the VAT calculations and payments of the smallest firms. 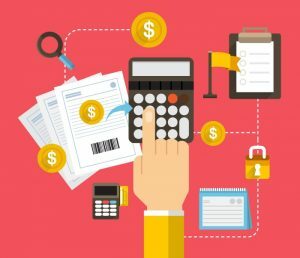 What is the most tax efficient method to take cash out of a business? It’s a question that’s very often on the lips of our clients and it’s certainly a very fair question too. After all, none of us want to pay too much tax if we can avoid it. Knowing how to extract cash from your business in the most tax-efficient way possible is key for any sole trader or limited company. Read moreWhat is the most tax efficient method to take cash out of a business?